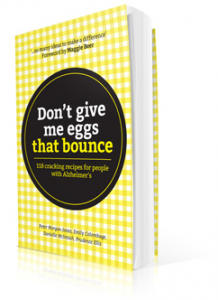 "Don't give me eggs that bounce: 118 cracking recipes for people with Alzheimer's" is a breakthrough cookbook that was launched by Maggie Beer in Sydney on June 26. 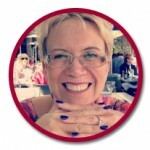 Here, HammondCare Director of Public Affairs Leigh Hatcher talks to Maggie Beer about the history of the book, and her support of great food in aged care." Published by HammondCare Media (formerly HammondPress), this beautiful new cookbook celebrates the dignity of older people, people with dementia and those with eating difficulties by offering nutritious, delicious food across a range of dietary needs. It's available now from the HammondCare Online Shop. All of the recipes have been carefully analysed and tested and are clinically appropriate. Easy to read chapters provide advice on nutrition for older people, successful mealtimes for people with dementia, understanding swallowing difficulties and how to prepare and present appetising and nutritious meals, including texture-modified food and drinks. The delicious recipes cover all the main meals of the day, as well as dessert, beverages and mid meals which are especially important for older people and those living with dementia who often cannot eat a larger meal. Australia’s leading aged care chef, Peter Morgan-Jones, has prepared innovative recipes which draw on his extensive international experience, with one recipe even inspired by cooking for a ‘young prince’ at Highgrove House. Many of the dishes have been shared in his daily work in HammondCare’s dementia cottages, much to the delight of residents and families. He is ably supported by HammondCare experts - dietitian Emily Colombage, dementia consultant Danielle McIntosh and speech pathologist Prudence Ellis who join Peter in writing about how to make mealtimes a pleasurable, social and safe experience in the context of dementia, ageing, swallowing difficulties and texture-modified diets. Carers are especially supported with time saving techniques, easy options and a special chapter on caring for the carer, along with lists of support organisations and resources.